FRISCO – Hunt Realty Investments Inc. purchased the Headquarters Ranch—the largest contiguous land assemblage in the city—from the Estate of Bert Fields, Jr. 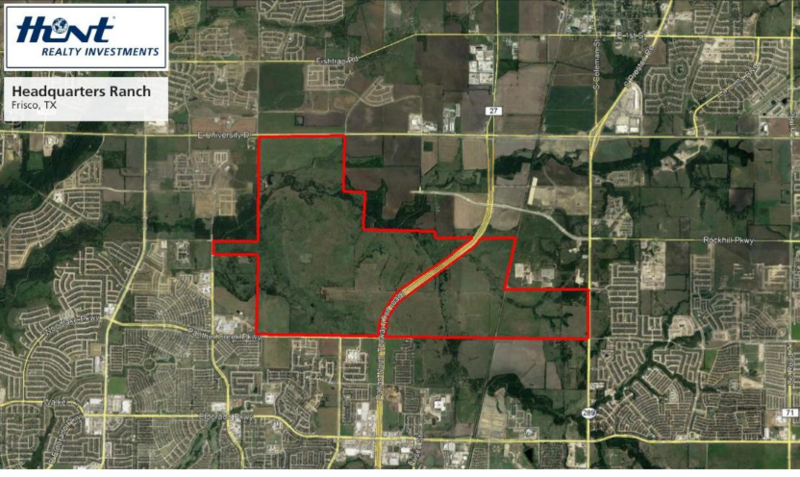 The 2,544-acre site is located on the northern edge of Frisco with significant frontage along the Dallas North Tollway, Preston Rd., and US 380. Hunt Realty will master develop a large, mixed-use planned development alongside the Karahan​ Companies. Anticipated development uses will include commercial, office, retail, single-family and multifamily residential, and education. Development is expected to begin in 2019.